[dropcap]D[/dropcap]emon Burn is a fat burning supplement that was manufactured by Hard Rock. The way that Demon Burn works is by raising the core temperature within the body which causes a direct impact on the stored fat. The stored fat by the introduction of heat from Demon burn can be turn into energy. Hard Rock have created a very complex formula for the combination of ingredients that make up the product. The idea behind the pill was to supply individuals with more energy so they feel more energetic about a workout. Hence, increasing the likely hood of burning fat or weight loss. 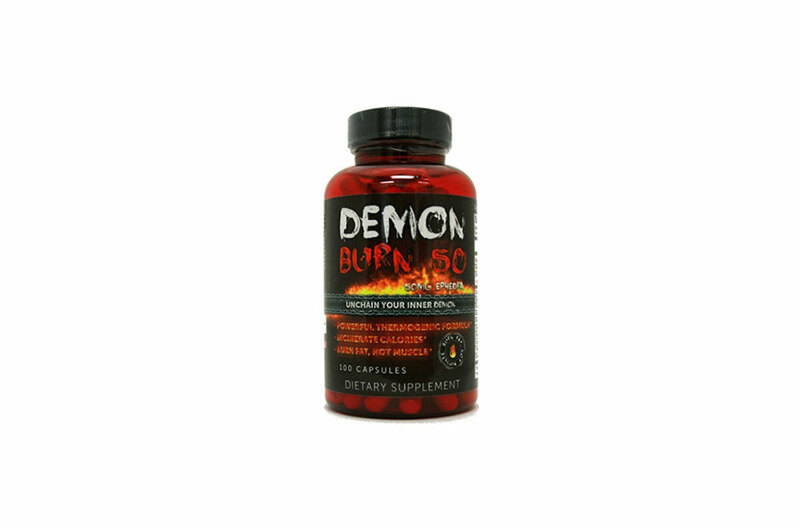 Demon Burn is different because it claims to have an effect on your weight without any diet or exercise but solely rely on the ingredients in their created formula to do this. Users love the possibility of rapid weight-loss with this capsule. There are two major ingredients in Demon Burn that automatically bring about a level of concern among customers. Ephedrine and Caffeine are the two ingredients that can cause negative side effects to persons taking them. Heart attacks and strokes are a few of the health concerns that are related to consumption of Ephedrine. The FDA has advised to take monitored and regulated amounts of Ephedrine due to its dangerous nature. Be careful when taking Demon Burn as Ephedrine is one of the substances used in the creation of this tablet. Users with cardiovascular problems should be aware of the amount of caffeine in this product. Caffeine is known to raise heart rate and that can be troubling on a weak respiratory system. Demon Burn has been very informative to the public as the ingredients of the minerals used to build the complex formula are on the label. Proceed with caution when attempting to use Demon Burn as some of the nutrients can be very dangerous on some of its users. A doctor’s approval should be necessary before the in-take of Demon Burn. There are other natural alternatives to weight-loss and burning fat. Playing soccer and boxing are two sports which have been very effective in encouraging great levels of fitness. Being active is not only good for the body but also for the mind and soul. Exercise is good for your overall health and should be part of your daily routine. Eating properly on time and high-quality size meals are also to be considered if weight-loss is your main concentration. Lipo Genix is a natural supplement that has been used that has recommended levels of minerals and nutrients in it for effective weight loss.